The Stricker ranch has a very simple history, being built in 1901 by Herman Stricker and his partner John Botzet. The first building in the area was the stage station which was built in 1865 by James Bascom who built the building as a stop between Salt lake and Washington. 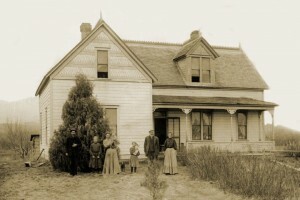 The Stage station and accompanying house was bought by the two men in the fall of 1876, and they stayed in the house bought with the station until the Stricker Ranch house was completed in 1901. A small cemetery was also constructed nearby to accommodate the few who died on their travels through the area. 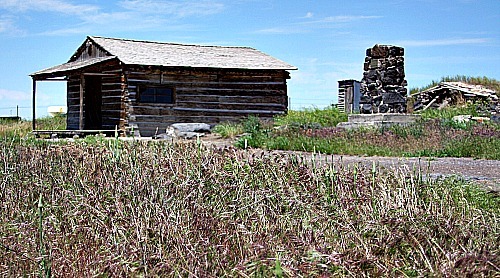 The Stricker Store and the Stricker home are now all that remains of the small village known as Stricker, and the Idaho trust has provided grants for both the store and the house. The land and properties are now owned by the Idaho State Historical Society. The ranch is one of the less terrifying places that's featured on this site, but not because of is lack of ghosts, but more due to the friendliness of the spirits that linger here. The only ghost on the land that is thought to have been identified is that of Mrs Stricker herself, who has been known to awake people sleeping in the property whenever someone trespass's onto the land. She is also thought to be responsible for items being moved around the cabin, mostly in the kitchen area. Other paranormal reports from the land are mostly focused around the cemetery area were visitors to the site have reported seeing shadowy figures moving around the outside of the cabin and the cemetery area. Interestingly enough these shadow figures are only ever seen after dusk, as if the activity thought to be produced by the deceased Mrs Stricker.